When someone mentions the Barossa Valley most will immediately think of the wineries and the big hearty award-winning reds that South Australia is famous for. 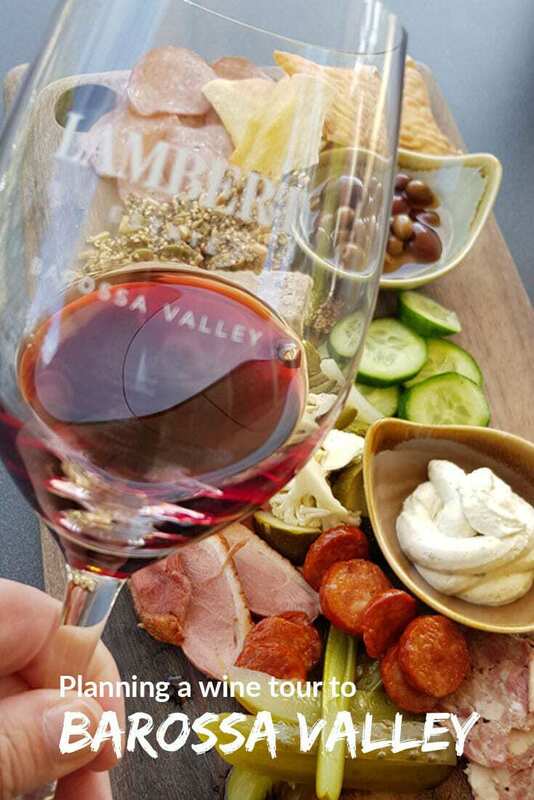 While wine tasting is of course first and foremost on the list of things to do in the Barossa Valley it’s far from the only reason to head up here from Adelaide. Whether it’s wine, artisan producers, great cuisine, historic towns or the beautiful views that inspire you, you’ll find it all in the Barossa. 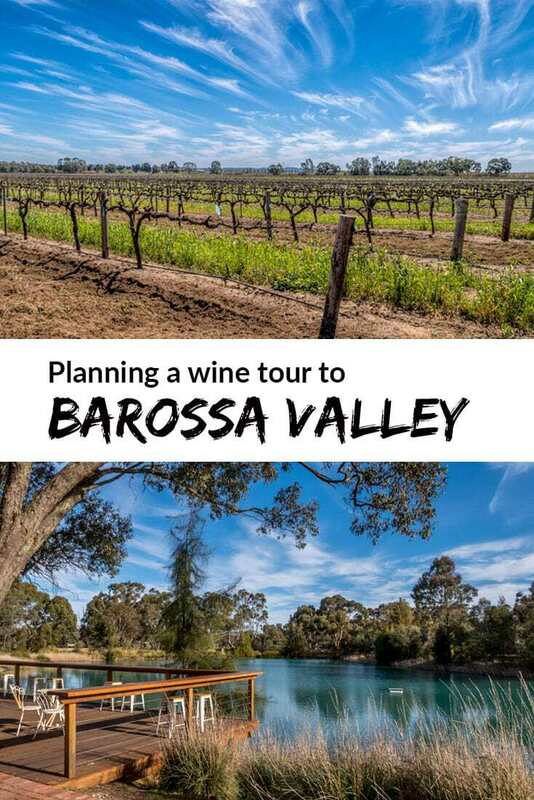 As we started planning our first visit to South Australia we threw around a lot of ideas on the best way to do a Barossa Valley wine tour that would suit our travel style and expectations for the day. We wanted to visit some of the boutique wineries but also see a bit of the area, meet some of the smaller producers and taste that incredible locally grown and produced food too. We essentially considered the 3 obvious options, either an organised tour from the city, staying in the Barossa or self-drive. If you’ve read much on this site previously you’ll know that we aren’t usually big fans of group tours, we’re slow travellers and we like to take our time, chat to the locals and immerse in the area. On the other hand, we only had a week in South Australia on this trip and were planning to cover the city, Barossa, Adelaide Hills and Fleurieu Peninsula which is extremely fast-paced for us so we knew we’d need to limit ourselves to the Barossa highlights in a day trip. We preferred the option of self-drive to give us time in the various locations we wanted to see and being able to choose for ourselves where we visited and how much time we spent there. With only two of us and both wanting to be able to taste, self-drive didn’t make sense although it was tempting to be able to put together the combinations of stops that we wanted to include. At this point, I came across another option that’s new on the scene and really innovative. 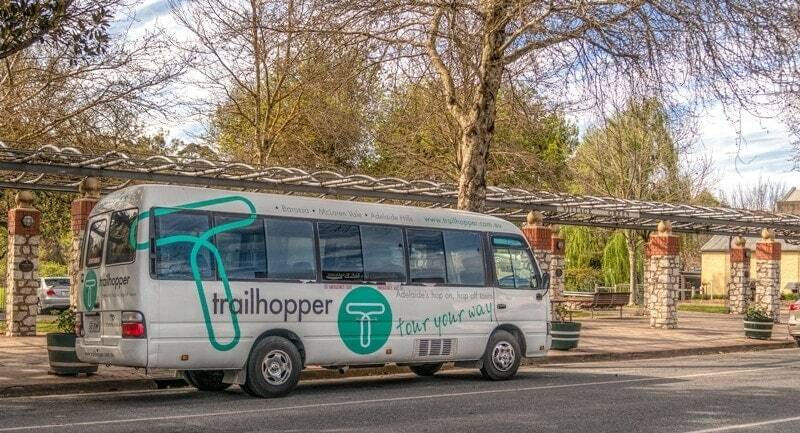 The TrailHopper hop on hop off tours has a team of all women driver guides who run tours to the Barossa, Adelaide Hills and Maclaren Vale with new tours in New South Wales and Western Australia coming soon. Our guide was Monique and she was fabulous, friendly and had a great knowledge of the area. We really appreciated her extensive personal experience with the various wineries and towns when selecting where we would head. What was great with this tour was that at some stops we were the only ones to visit getting an intimate personal experience chatting to the producer, at other stops the 4 couples on our tour all hopped off together and experienced the stop as a group. My one concern with the tour when I first heard about it, was whether a hop on hop off tour could become more of a ‘booze bus’ than a day out exploring the culinary delights and boutique wine producers of the region. I needn’t have worried, Trail Hopper are very clear right up front that they’re about responsible consumption and everyone having a great day. There’s absolutely no drinking on the bus and any purchases made are conveniently stored by your guide for collection at the end of the day. Our group would have ranged in ages from those in their 20’s to their 50’s, part of a great tour is always the people you end up on it with and we were very lucky to have such a good little group. There are ticketing options to join the tour from Adelaide City or within the Barossa Valley. In the city, the pickup point was outside the Stamford Plaza on North Terrace which was conveniently located almost opposite the Intercontinental where we were staying. We definitely prefer this top end of town for convenience to the city attractions and restaurants. There’s a planning guide online that you can access in advance and you also get a laminated copy once you arrive to use for planning your stops. On the drive out our guide, Monique, shared plenty of information about the Barossa and the destinations we could choose to visit. The detailed information and personal knowledge of the people, wineries and area was so helpful and although we had pre-planned our stops ahead of time we did end up adjusting them after talking to Monique and finding others that better suited to what we wanted from the day. Once you arrive in the Barossa there are 12 stops, the bus cycles through these once an hour picking you up and dropping you off at your next choice. They recommend you choose where you are going up front and visit them in sequence, this means you spend the least time on the bus and the maximum time at your destinations of choice rather than backtracking on the route. You can either make 4, one-hour stops or three with a 2-hour lunch stop during the day. We choose to do 4 and have a platter lunch with one of the tastings, the platter option was fabulous and we’d highly recommend it but there were a few hiccups with timing making it a bit rushed so in hindsight I would allow the 2 hour stop for lunch and relax over lunch. The drive from Adelaide city centre out to the Barossa Valley only takes around an hour. This is one of the big attractions of Adelaide, there is so much to see and do so close to the city. The Barossa region itself is over 900 km² so you will cover some distance as you transit around, it does pay to plan out your route if you are going to self-drive. The trip from the city begins through inner city suburbs, moves to industrial then an agricultural landscape before you reach the distinctive rolling vineyards. The Barossa is also an easy destination to access if you’re arriving into Adelaide by air. We flew down from Brisbane with Jetstar on an afternoon flight. The Barossa is just over an hours drive from the Airport so it’s a very practical destination to pick up a rental car and continue directly out without needing to stop a night in town. If you subscribe to Jetstar Australia’s free Friday Fare Frenzy email you can regularly pick up a good deal for your city escape too. Colonel William Light named the Barossa Ranges in 1837. The area was named after Barrosa in Spain where he fought in the Peninsula War under the Duke of Wellington but a bit of an administrative mishap let the spelling mistake slip through and it has remained the Barossa. The first German settlers arrived in the 1840’s settling mainly in the town of Tanunda. Many of them were escaping persecution in Prussia and have retained their strong German traditions today. Another town, Angaston was settled mainly by Brits and has an English feel. Nuriootpa is the third town, it was settled in the 1830’s and means meeting place in the local Aboriginal dialect. From those earliest European settlers, the Barossa has been a region of vineyards and orchards, this is born out in 4 of Australia’s 12 oldest brands being wine producers with ties to the region, Penfolds, Orlando, Seppeltsfield and Yalumba. The rolling hills of the Barossa provide a variety of microclimates and soil types meaning a variety of grapes are able to be grown by some producers. The region as a whole however is best known for its bold and robust shiraz with loads of tannin. As it was described to us, while some wines will gently caress your palette, the best of the Barossa will get up and slap you in the face. In a good way, of course, the Barossa wines are world class for a reason. With some 550 growers and 130 wineries located in the region you aren’t going to make much of a mark in a day, or even a week of tasting so you will have to narrow it down. Most tours try to take in 3-4 wineries plus lunch and Trail Hoppers works in much the same way, the difference being you select from their menu of available stops to suit your personal preference. One thing we did learn during the day was the reason you see some wines from the area labelled Barossa Valley and others simply as the Barossa. To wear the Valley label they must be produced only from grapes grown in the Barossa Valley while those labelled Barossa may include grapes from the Eden Valley. 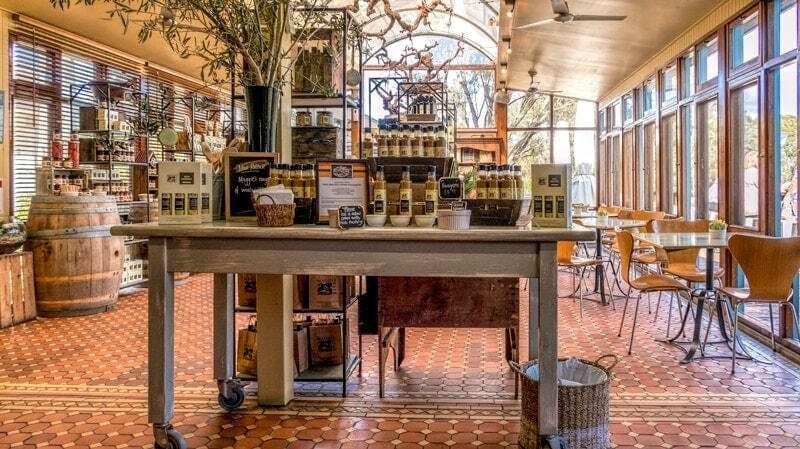 If you want to try some wines from the Eden Valley on this tour you can stop in at the Taste Eden Valley tasting rooms in the Angaston township where they have a variety of the region’s producers on display and available to try. Our first stop of the day was at Rusden Wines a boutique producer who still pick the fruit and prune the vines by hand. Our timing ahead of other tours was our good fortune as we were taken through our morning tasting by Craig who handles the marketing and PR here but is also a font of knowledge on the wines, winery and the industry overall. Rusden Wines has grown from a hobby farm and labour of love for owners Chris and Dennis to currently having 10 wines in their range. From Christian, their oaked Chenin Blanc to their bold and fabulous Black Guts Shiraz the wines represent the diversity of grapes grown on the property. With their vineyard on the valley floor, they exist in a narrow bank of free draining alluvial sand producing a crush of 80-100 tonnes which is used exclusively in the production of their own handmade wines. Their Shiraz vines at 60 – 80 years old are premium but part of an extensive collection of older vines on the property, they’ve continued to evolve too, recently planting up Grenache Blanc and Claret. Tastings are complimentary on the tour but there is a small fee if you visit independently. 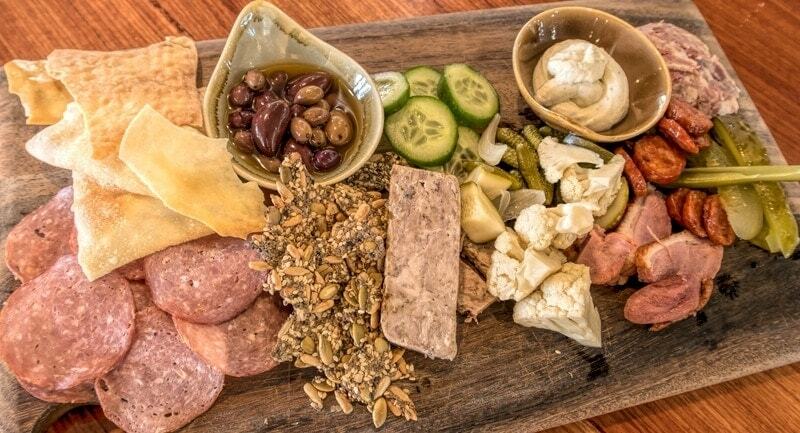 Wine by the glass and platters are also available for purchase along with cellar door sales. The Jacobs Creek label has a fabulous history and connection to the region evolving from what was the first commercial vineyard in the Barossa. It’s worth noting though, if the local connection is important to you, that it’s not been an Australian wine label since 1989 when it was acquired by a large French company. The background is that in 1840 William Jacob, a free settler, established himself on the banks of a small creek that would be named after him and later become world famous. You can still see that original cottage which has been relocated within the grounds of the huge modern Jacobs Creek Visitors Centre. In 1847, 10 years after arriving in Australia by ship Johann Gramp, together with his wife, purchased 30 acres of land on Jacobs Creek and began the hard work of planting out vines and setting up a small winery and cellar. They producing their first wine around 1850 beginning of a long history of vineyards and wineries in the region. 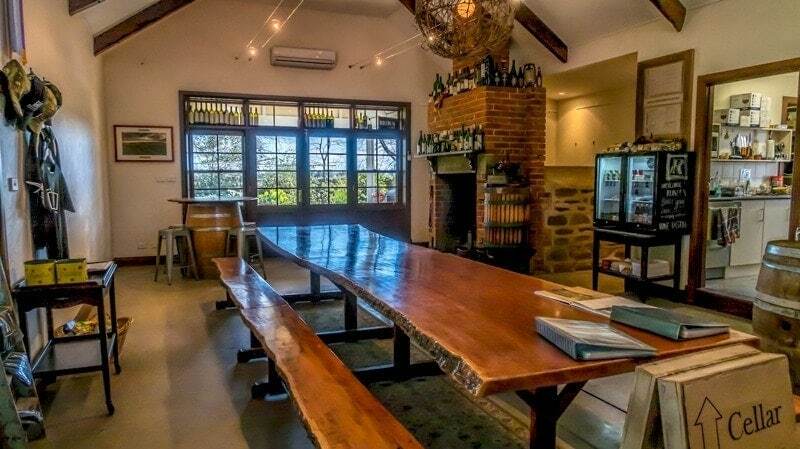 If a platter in a stunning setting appeals over a formal dining room then I’d highly recommend Lambert Estate as a lunch stop in addition to a tasting of their boutique wines, inside is a welcoming fireplace to keep you cozy on a cooler day but the expansive deck overlooking the surrounding vines and countryside was our pick. The winery is relatively young in Barossa terms and was established by Jim and Pam Lambert. We were welcomed by Pam who hosted our wine tasting and regaled us with the family stories behind the wines names and labels, clearly family is a big focus for this property and their son Kirk and daughter in law Vanesa are the winemakers now. 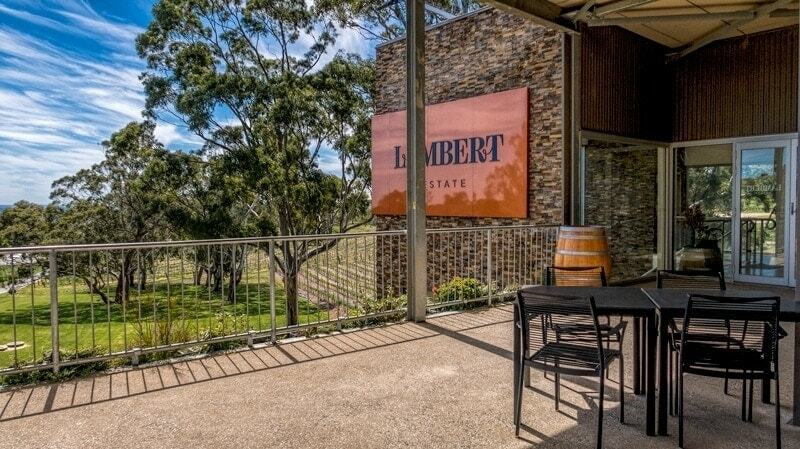 I’ve heard Lamberts are coming to Brisbane for the Brisbane Good Food and Wine show in October so I’m looking forward to seeing their selection there too. This is the oldest family-owned winery in Australia first planted on 30 acres in Angaston in 1849. Its name in the local Aboriginal dialect means all the land around. Yalumba’s history shows in its character filled wine room, stone castle-like buildings and beautiful gardens. Tastings of its base range are complimentary but you can also taste their premium wines for a fee which is redeemable on purchase. The town of Angaston was also on our list for a stop. Here we were able to wander through the heritage streets and park enjoying the history in its buildings. We stopped in at Barossa Cheese which has been operating in the region for 15 years and currently produces a selection of 26 kinds of cheese with some interesting new goats milk options coming soon. The friendly team here were able to share all about the business and the cheeses in the range and we were treated to a tasting of 4 of its wonderful soft cheeses. All were exceptionally good but I did have a particular favourite in the Barossa Triple Cream with its luxurious smooth mouthfeel and a little more depth and pungency in its flavour. While in town take a walk up the character filled main street, behind it you’ll find a park and small historic graveyard. A small side road will take you to the heritage buildings of the town hall and the old Union Chapel built in 1844, one of the oldest churches in South Australia. Opposite the town hall set in a pretty garden is Taste Eden Valley, a tasting room that showcases 16 different producers from the Eden Valley region. A day in the Barossa couldn’t be complete for me without a stop at Maggie Beers. Of all the wineries, towns and producers in the region, this was the one place that I had on my list that absolutely had to be included. It was our last stop of the day and it really is a delightful place. Just look at that turquoise blue lake which was full of turtles that kept popping up to see if we planned on dropping them anything. Although Maggie herself does regularly spend time at the property we weren’t fortunate enough to cross paths with her on this visit. While it would have been fabulous to have met the remarkable woman we were equally content with spending time tasting from the diverse range of products stocked here and admiring the beautiful lake over a cider and chai in the late afternoon sun as we reflected on the day. Some notable products from the tasting selection to look out for are the quince vinocotto, Cabernet barbecue sauce and the dark cherry, rosemary and verjuice preserve. For those with a sweet tooth, the liquid caramel is a bit special too. 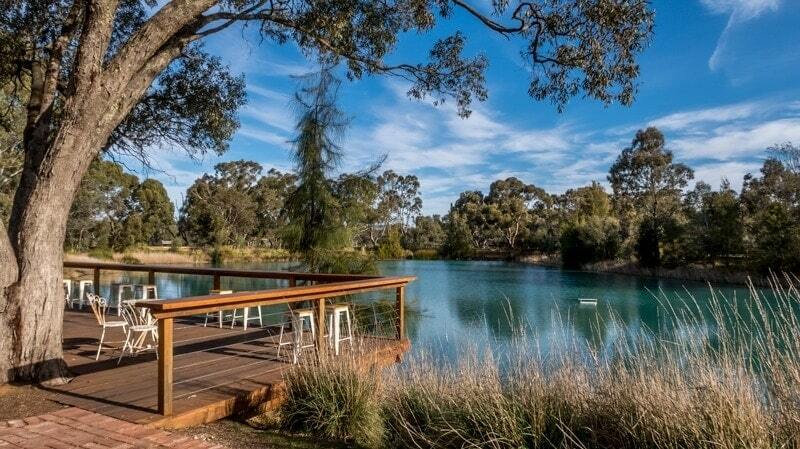 Overall we’d highly recommend a visit to the Barossa. A day is well worthwhile if, like us, that’s all you can fit into your schedule but the scenery and small towns are lovely, an extra day or two to take it all in and be able to fit a few more meals of that incredible Barossa produce would be ideal. I love that the majority of the Australian wine regions are so much more than that and Barossa would be one of my favourites so far. Feel free to share your own experience of the Barossa and ask questions in the comments section below. Disclosure: We flew to Adelaide as part of our partnership with Jetstar Australia.